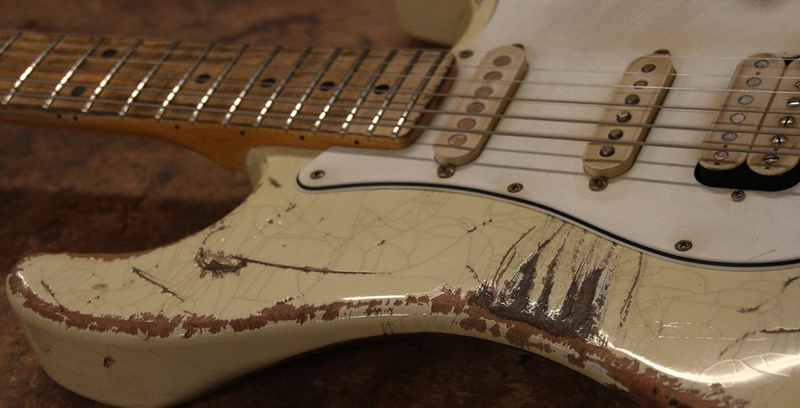 Our aged Strats are an excellent example of how versatile we are in our Custom Shop and how accurate to every detail we build our guitars - even if its about dings and scratches. 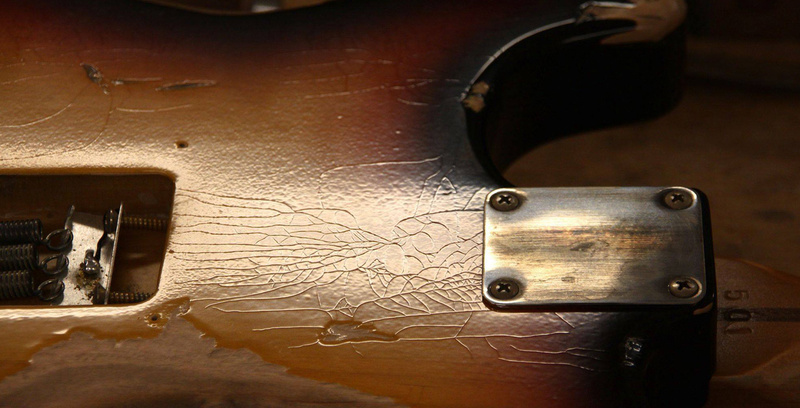 Our aging procedures of hardware, woods and Nitro-varnishes are quite time consuming, done by skilled hands in order to make those guitars not only look like playd for decades but also sound real Vintage, too. We deeply respect the world-famous companies which have written history in the past but It`s definitely not our aim to build exact copies from the Originals. Much rather we let flow our own inspiration and let us guide from our imagination how these guitars should sound and look. You got to check them out and you will be amazed like many of our customers playing a Siggi Braun aged Strat-style guitar. 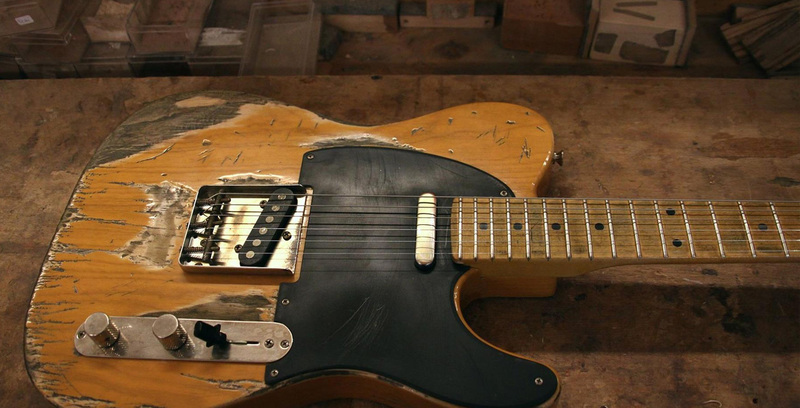 Our aged Teles are an excellent example of how versatile we are in our Custom Shop and how accurate to every detail we build our guitars - even if its about dings and scratches. 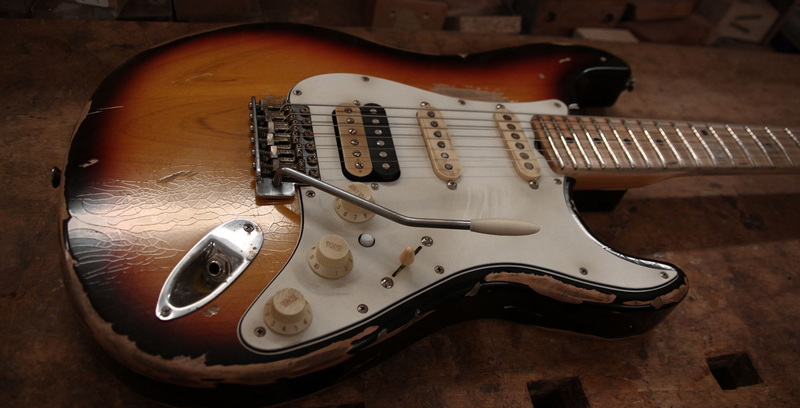 Our aging procedures of hardware, woods and Nitro-varnishes are quite time consuming, done by skilled hands in order to make those guitars not only look like played for decades - and treated quite bad for sure - but also sound real Vintage, too. You got to check them out and you will be amazed like many of our customers playing a Siggi Braun aged Tele-style guitar. 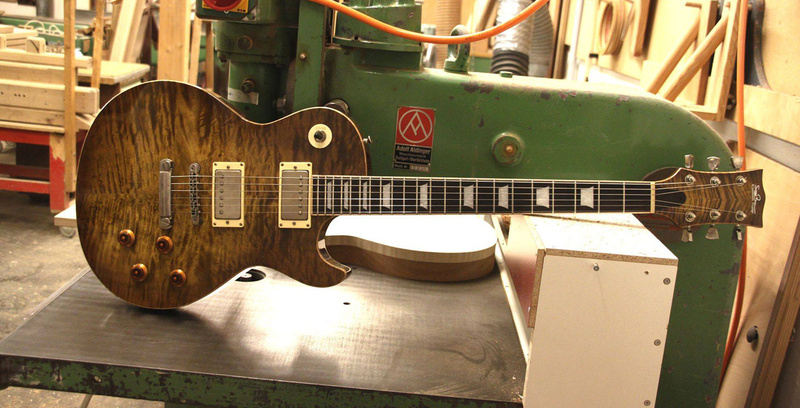 For not only few guitarists a real 59th Les Paul* is nothing less but the “Holy Grail“ regarding tonal qualities. In face of the fact that no luthier will ever be able to build a guitar that sounds like played for decades, however our master Siggi Braun searched for alternative methods in order to get this esteemed full bodied, woody tone with tremendous sustain and overtones galore. He choose only from the best and longest stored Mahogany boards and found to a special body chambering system which enables – combined with our ingenious CNS-neckjoint - simply amazing results which truely reminds of those great classics. But talk is cheap. We fear that there is no other option for you to check it out by yourself. A Les Paul style guitar which has been developed by skilled hands and trained ears, handmade of finest available and selected parts. A guitar which is built only with one goal, to get you immediately hooked when playing it for the first time. A guitar which for us deserves the name “Spirit of `59”. *Les Paul is registered trademark of Gibson corporation. 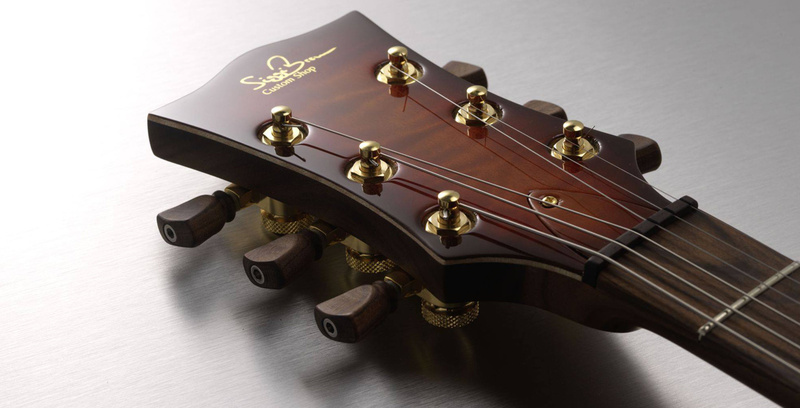 Our Sparrow model represents an exciting bridge between the Vintage and the Modern style guitars. We combine traditional woods like selected Red Alder and hardmaple with top-notch hardware and (noiseless) pickups in order to offer you significantly improved Vintage style sounds which are demanded nowadays. The traditional 4-point neckjoint and a beautiful figured wood veneer keeps the Sparrow guitar in a very attractive price region. Go for the Sparrow: little bird – big sound!